How do you define a customer? How do you figure out what problem to solve? Given a problem, how do you design a solution? How do you work cross functionally to execute that solution? How do you launch a product and iterate after launch? What does the interview process look like for PMs? No prior knowledge of product management, computer science, design, or needfinding is required! 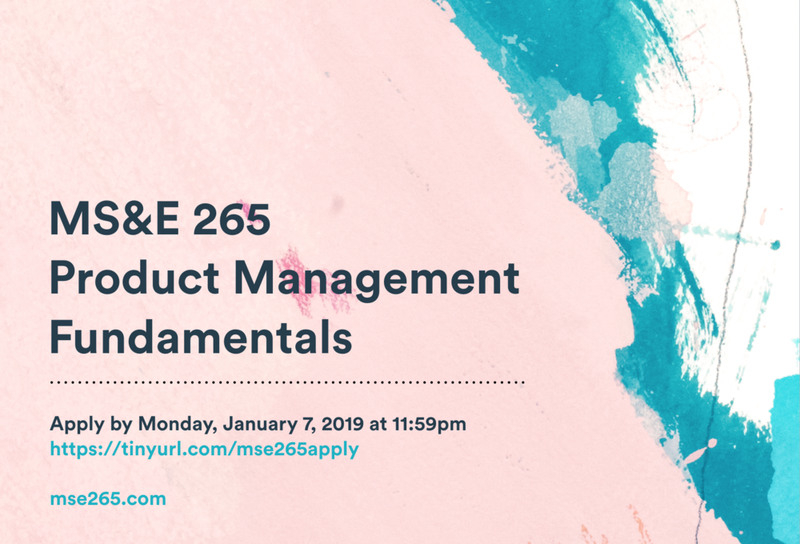 This course will help any student who is interested in learning more about product management, including those who may not want to be product managers. We will focus on general problem solving skills and attempt to focus not only on software but on product management as a general craft. The teaching team will email you with your admission status by Thursday, January 10th before class begins.